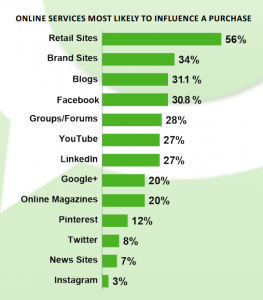 Technorati finds that blogs are consumers’ third-most influential digital resource (31%) when making overall purchases, only behind retail sites (56%) and brand sites (34%). 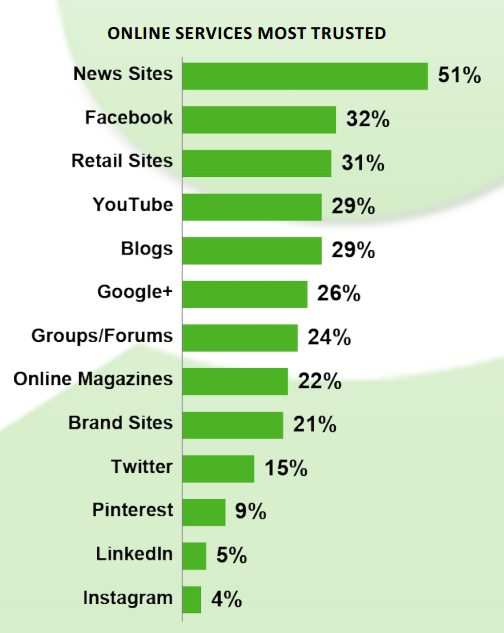 In fact, blogs were found to be the fifth-most trustworthy source overall for information on the Internet. 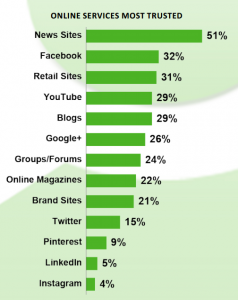 YouTube, Facebook and Google+ are the most popular social properties for consumers. 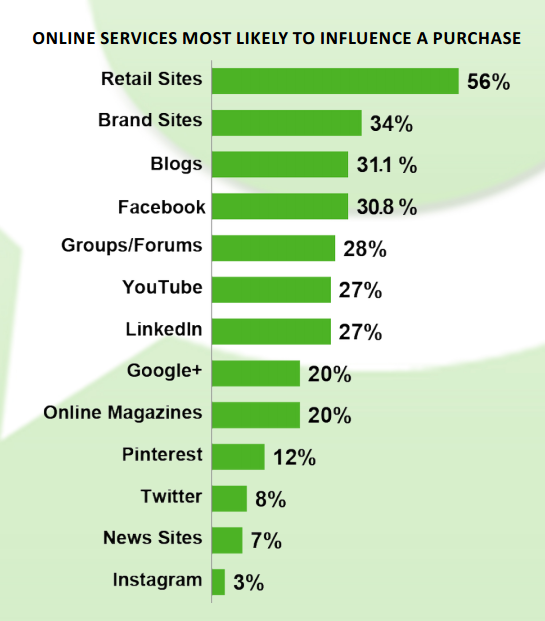 But when consumers want news and purchase information they trust, they often turn to blogs. Technorati also found that influencers are most active on blogs, as 86 percent say they have them and 88 percent of those say they blog for themselves. About a third of influencers say they have been blogging for five or more years. Most bloggers (52%) operate two to five blogs, while 43 percent run just one. We blog mostly for the love of it. Only 11% report making more than $30,000 a year from our blogs and 80% say it’s less than $10,000 per year. I’ve written before about the benefits of blogging and how it changed my life for the better. What’s Next Blog has been my storefront since 1998, bringing me clients including IBM, Ford, Cendant, McGraw-Hill and more. Perhaps most importantly, blogging has allowed me to meet and become friends with extraordinary people like Toby Bloomberg, Hugh Macleod, Shel Israel, Henry Copeland, Francine Hardaway, Adam Singer, David Berkowitz, Albert Maruggi and Dave Erickson among many, many more. Brand/blog disconnect: Bloggers also report that unsuccessful attempts to use blogs for branding are most often caused by irrelevant pitches and unrealistic expectations. Influencers also report that those opportunities sometimes don’t represent a relevancy to their blog or audience. And, oh boy! is that ever putting it mildly. At present, brands primarily look to comScore/Nielsen ranking for identifying and selecting influencers first, yet influencers – particualrly bloggers – are not well represented in these indices. And blogging, Halleluiah! is alive and well.